INDUSTRY.co.id - Jakarta Setiawan, Head of Global Markets of PT Bank HSBC Indonesia, said that although it can be seen from the credit intermediation that has not been maximal showing the slow recovery cycle, the economic fundamentals are seen to have improved, especially in the export sector and expectations of increased government spending on social welfare. "For that, we need some further policy support to realize Indonesia's growth potential and we can see Bank Indonesia has helped very much from the monetary side to encourage economic growth," Ali said in Jakarta on Thursday (7/12/2017). Ali said that by 2018 the political year is essentially slightly better than in 2017 considering government spending support and private consumption, which usually tends to increase close to the election period. On the other hand, Nuni Sutyoko, Senior Vice President and Head of Corporate Sustainability at PT Bank HSBC Indonesia said that as part of its commitment to become a part of sustainable growth, HSBC Indonesia with PSF and Sampoerna University is always focused on strengthening financial education for students and students, regional bankers, and lecturers in banking and finance. "That is what motivates us to share our economic exposure on this occasion," Nuni said. Meanwhile, Inka B. Yusgiantoro, Senior Executive Researcher, Financial Services Authority explained that economic and banking researchers have a huge opportunity to participate in the formulation of solutions to the problems and challenges of the financial industry through research. "Research progress is a key pillar in building a contributive, inclusive, and stable financial services sector. 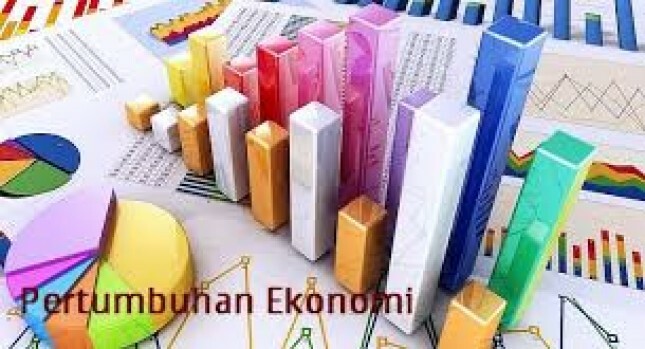 With the current global economic challenges and opportunities, economic and banking researchers within the academic community of colleges and industry should further deepen research to provide economic projections that are beneficial to economic and financial planning for Indonesia in the future," Inka explained. The Indonesia Economic and Financial Outlook (IEFSO) 2018 seminar is part of a strategic partnership between HSBC, Putera Sampoerna Foundation and Sampoerna University in developing literacy and financial inclusion since 2015.